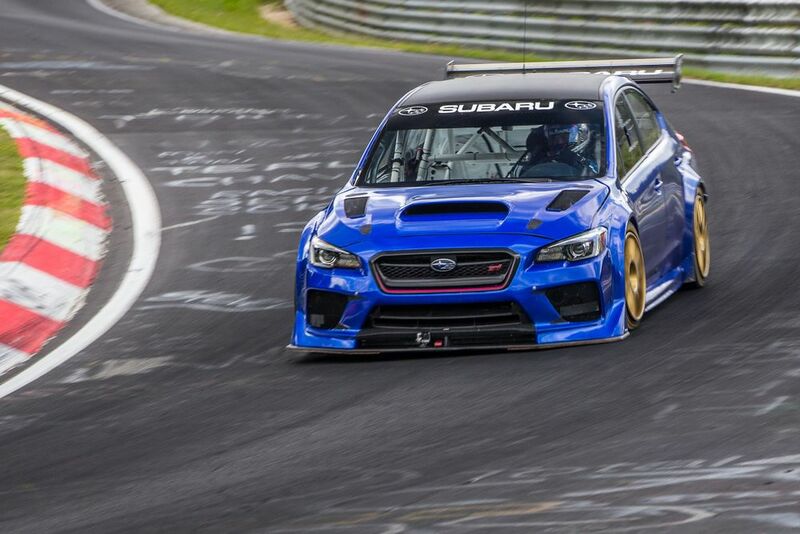 Now before you get too excited, this Prodrive WRX STI is not road legal. However, cracking the 7-minute mark on the ring with a four door saloon is impressive no matter how far removed from the road car it is. Incredibly, this record breaker uses the 2.0-litre boxer engine from the standard car. Thanks to upgraded internals however, it’s able to tolerate 25psi of boost. That puts the output north of 600bhp at 8500rpm. All 600-odd ponies are sent through a specially modified WRC-spec gear box that can shift in 20 milliseconds. The standard 4WD system remains. That and the addition of racing slicks means this STI will have no trouble putting that power down. It was not so long ago Prodrive smashed the Isle of Man TT record with the very same car; albeit with a different aero kit. Because of the vast number of challenges the ring presents, this STI is geared to be some what of an all rounder so top speed is ‘only’ 179mph. Thanks to the aero, downforce figures at that speed are an impressive 295kg. 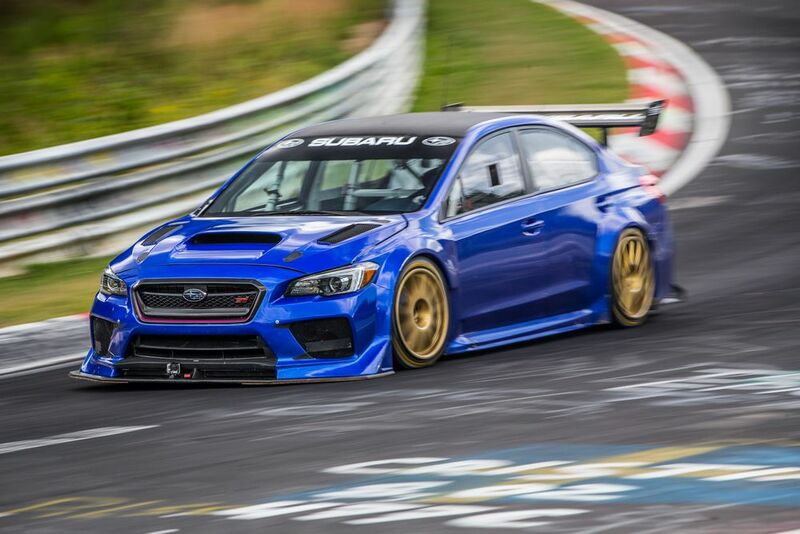 This entry was posted in Motorsport, News and tagged Subaru.